Start your own loyalty program. Reward the customers who make purchases frequently. The loyalty program is based on the total amount of money spent in the store. The more the customers spend, the more they get. 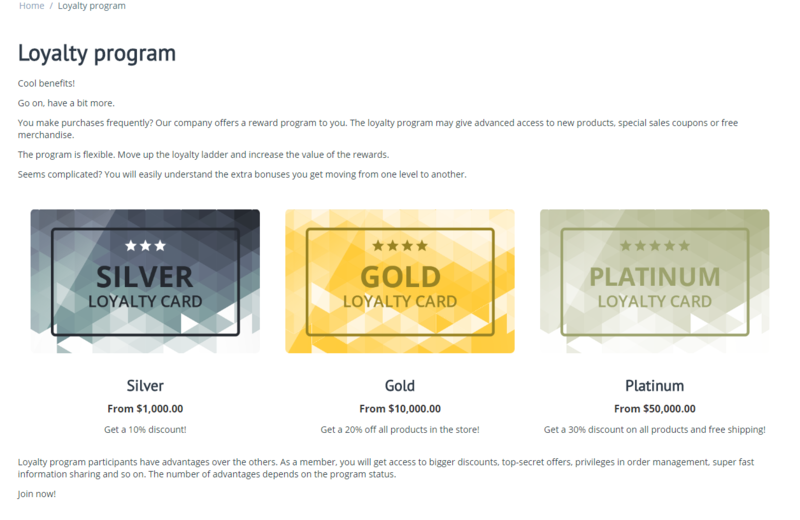 The loyalty scheme consists of several membership tiers. 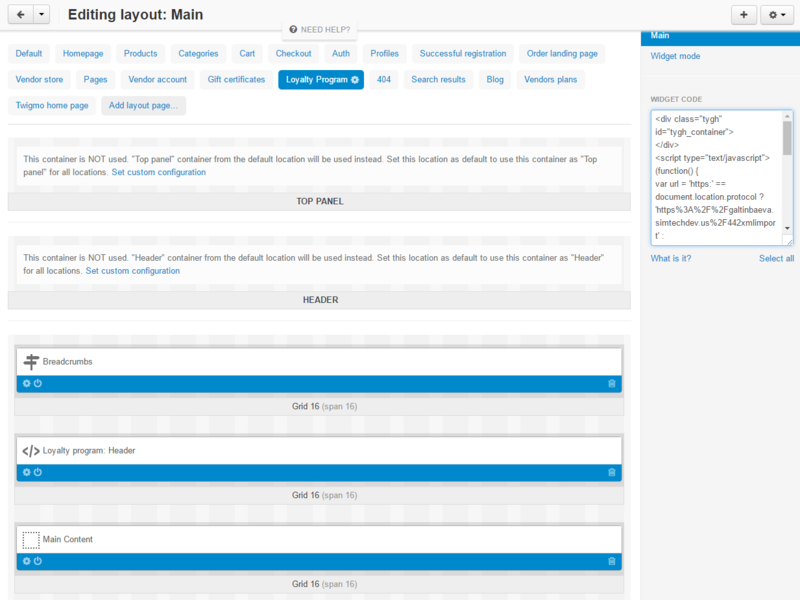 Each tier has its own minimum entry amount and a user group. Once the customer’s purchases reach this entry amount, the user group is assigned to the customer. When the amount spent in the store reaches the next level, the customer moves up to the next membership tier with other bonuses and rewards. Unlimited number of membership tiers. Bonuses specific to each membership tier. Time-specific memberships (specify the period the cards are valid). Page with the terms and conditions of the loyalty program in the storefront. The ability to edit the promotional text for the loyalty program. Unique card image for each membership tier. Display of the reward points earned by the customer (if the default Reward points add-on is enabled). [~] The appearance of the Loyalty card has been changed on the page with information about the user. [+] The ability to exclude a users group from a loyalty program has been added. 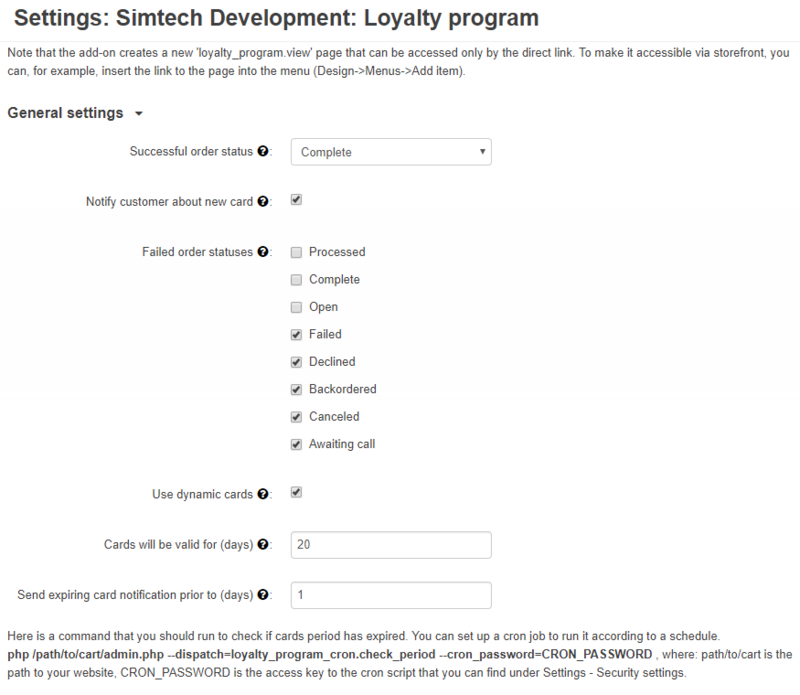 [+] The setting which allows choosing a loyalty program status for new customers has been added. [!] The loyalty cards were not assigned via the menu if the user group that corresponds to this loyalty card was changed. Fixed. [!] The 'Failed order statuses' setting was not applied when assigning the loyalty cards via the menu. Fixed. [+] Information about the number of the available reward points was included in the customer profile page. [+] Time intervals were included. [+] A new setting allows to return the client status to the previous one for the situations when an order was declined. [!] Conflict with Cloud Translate by Google. Fixed. [+] User status information was added. [+] A letter to the customer about giving them a new card was created. 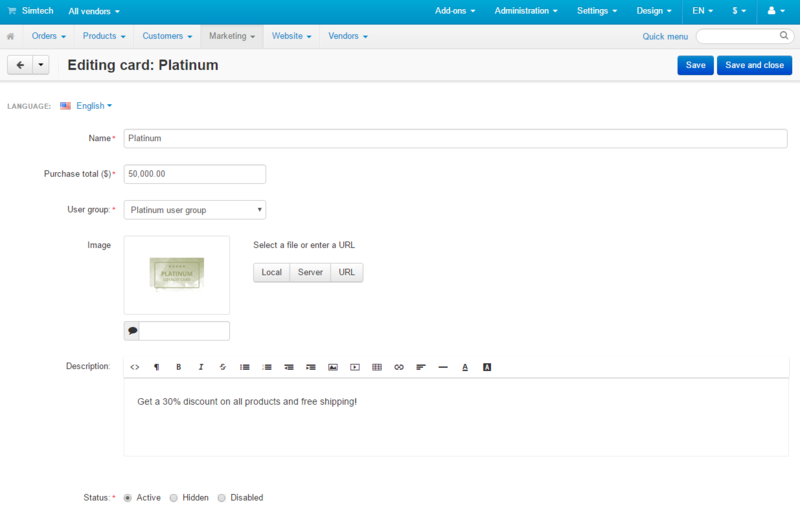 [+] The ability to share customers among storefronts was included into the add-on.